LocationThis traditional manor house from the fifteenth century is situated approximately 3 km northwest of the town of Inca, facing the Sierra de Tramuntana. 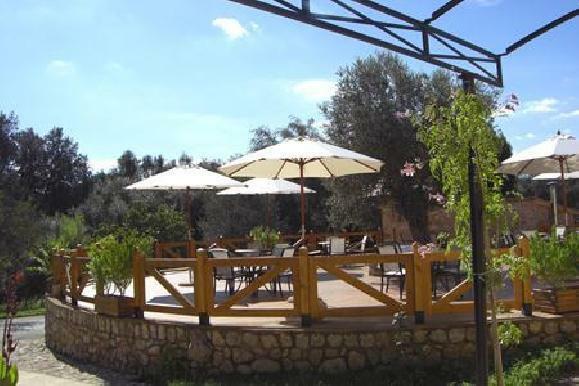 The farm is surrounded by land featuring fig, olive and lemon trees. The town of Selva is approximately 1 km from this charming country house and Alcudia and its beach is roughly 25 km away. From airport you take direction to Palma city ( not Santany), then MA 20 direction Andratx/Alcudia. Don`t take exit "Pont Inca" ( this is only name of an area. Take Exit MA13 - Inca . You reach Inca in about 15 minutes. There are 2 exits for Inca. Take second one and follow always the pink sign " lluch". This is a famous convent. This sign will guide you through the whole city of Inca. When you leave Inca after 500m on right side there is the first yellow sign from Agroturismo Son Olive. There are 3 others and then you reach your aim.